With A Natural History of the Senses, Diane Ackerman let her free-ranging intellect loose on the natural world. Now in Deep Play she tackles the realm of creativity, by exploring one of the most essential aspects of our characters: the abitlity to play. "Deep play" is that more intensified form of play that puts us in a rapturous mood and awakens the most creative, sentient, and joyful aspects of our inner selves. As Ackerman ranges over a panoply of artistic, spiritual, and athletic activities, from spiritual rapture through extreme sports, we gain a greater sense of what it means to be "in the moment" and totally, transcendentally human. Keenly perceived and written with poetic exuberance, Deep Play enlightens us by revealing the manifold ways we can enhance our lives. 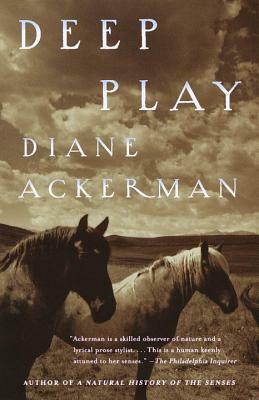 Diane Ackerman lives in upstate New York.